Always have the ingredients for macaroni and cheese on hand, even if it means a box of Annie’s or Kraft. 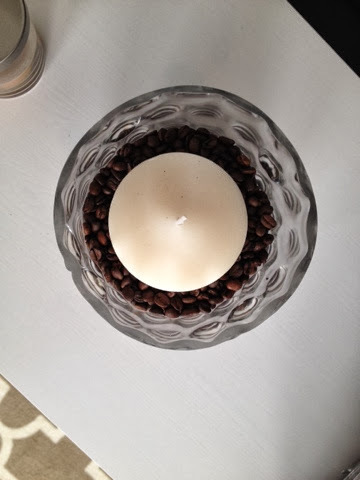 And keep vanilla scented candles in jars of coffee beans around the house. I love these jars. You can get the coffee beans from anywhere, as long as you like the scent. I stay away from the flavored ones, because then it mixes with your vanilla candle and generally doesn’t have the same effect I like. 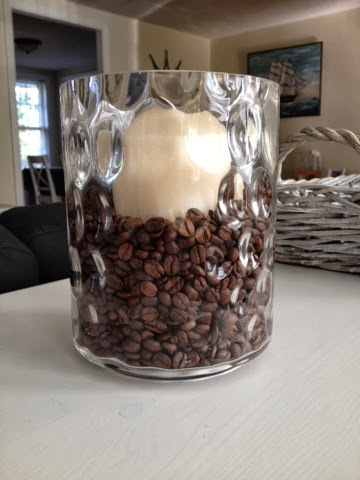 Just grab a vase or jar that you like, place your candle inside and pour the coffee beans around it. It’s so simple, freshens up the room, and gives me that curled-up-in-front-of-the-fireplace-at-a-Caribou-Coffee vibe. It’s relaxing, comforting, and the bonus is that it pretty much takes care of any undesired, lingering scents. I have a friend that does the same thing, but with a pumpkin scented candle and she loves it. I’m not a pumpkin fan, but for those of you who sprint toward the nearest Starbucks when Pumpkin Lattes arrive in stores, it might be right up your alley!